A Death Doula is a non-medical person trained to care for someone holistically (physically, emotionally and spiritually) at the end of life. Death Doulas are also known around the world as: end of life coaches, soul midwives, transition guides. 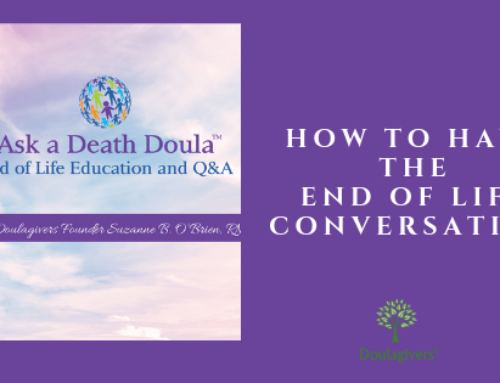 death coaches, doula to the dying, end of life doulas, death midwives, and end of life guides. What do Death Doulas do? 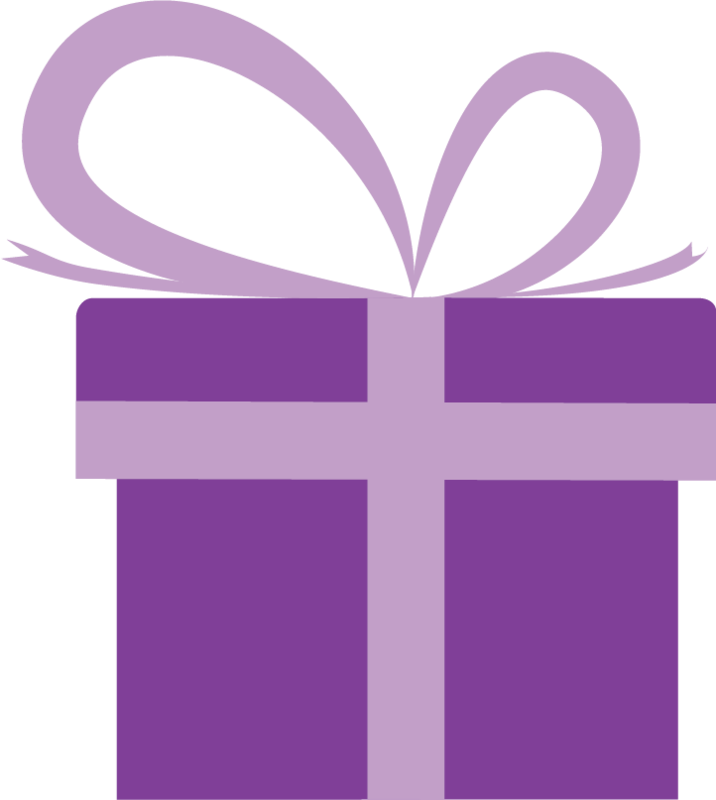 Death Doulas are people who support people in the end of life process, much like a midwife or doula with the birthing process. It is “a new non-medical profession” that recognizes death as a natural, accepted, and honored part of life. One might say that death midwifery is to hospice palliative care as birth midwifery is to obstetrics. Educate patients and families on the new and progressive options of home wakes and natural burials. What type of holistic support do Death Doulas provide? Legacy: We are all born and we all die; it’s what we do in the middle that creates our legacy. What we leave behind is far more than simply wealth and possessions. We can share our story or give wisdom, advice, love, and support even after we have passed. And in doing so, give the future a glimpse of your essence – who you were, how you saw the world, and what gave your life. 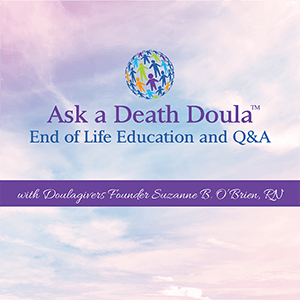 Death Doulas can help patients with the powerful, uplifting process of developing a legacy plan. Presence: The last phase of our life can stir fear and anxiety as we each face our end-of-life. This is simply because we have not walked this path before. Having someone present with the experience and training in such a time can bring a sense of comfort and familiarity to the otherwise unfamiliar. Death Doulas provide holistic support as they accompany individuals and their families before, during, and after death. Dignity: Everyone wants to have a positive passing where they maintain dignity and honor as they exit life. We all have our own values, traditions, and belief systems that will influence our vision and expectation of what that would look like. Creating an environment that represents that vision is important. 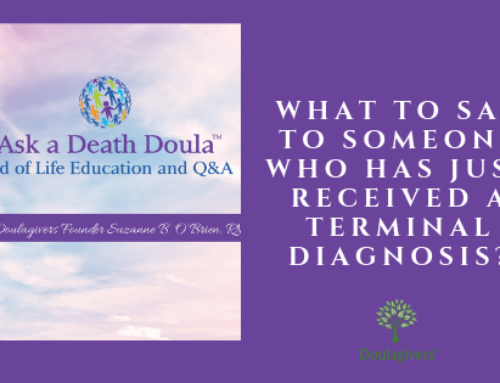 This along with developing a legacy and presence work, is what an End-of-Life Doula brings to you and your family. What is on the horizon for the Death Doula field? 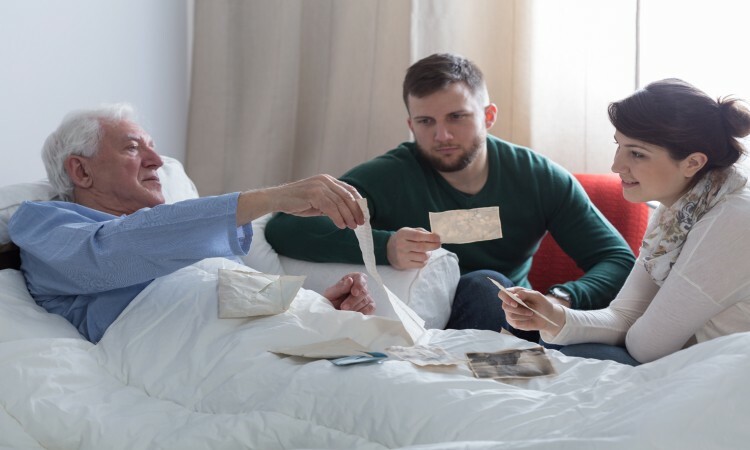 Many end of life care experts agree that over the course of the next decade, there will be a great rise in demand for alternative care services in order to accommodate the aging Baby Boomer generation and keep people at home during end of life (rather than residential care facilities). There has never been a more important time than now to support both patients and families with specialized, non-medical alternative healthcare. 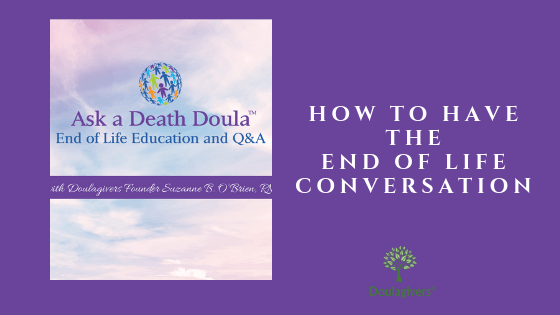 Death Doulas are an an intricate and integral part of reshaping end of life care for the future. How do I become a Death Doula? 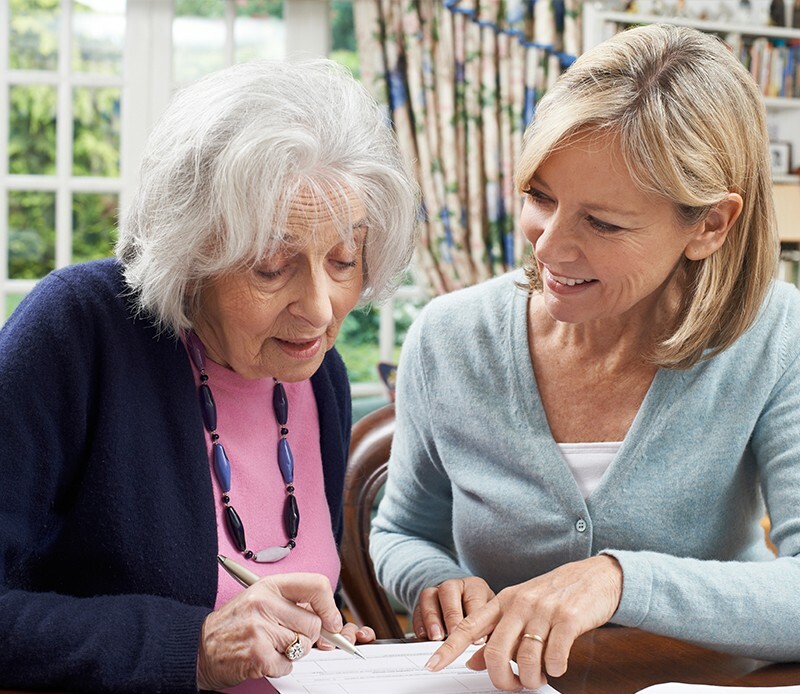 Due to the enormous number of the elder population, there is an overwhelming need for these types of services and support. Finding the right teacher and training program is one of the most important decisions you will make. 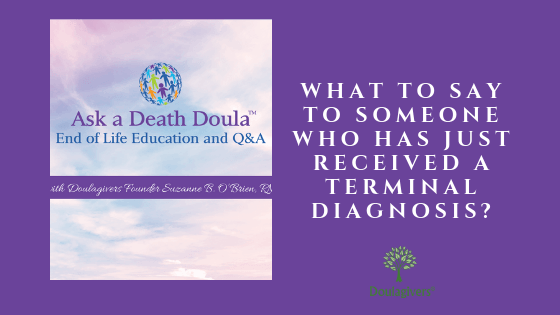 The International Doulagivers Institute, founded by Suzanne B. O’Brien RN, provides the highest level of education and certification for Death Doulas. 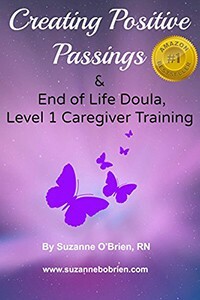 Doulagivers is an internationally recognized leader in end of life training programs and care. Our organization provides a well-rounded program that focuses not only on the patient, but the loved ones as well. It is a fully comprehensive program that covers everything from how to care for individuals and connecting with community, to starting a business and continued support thereafter. 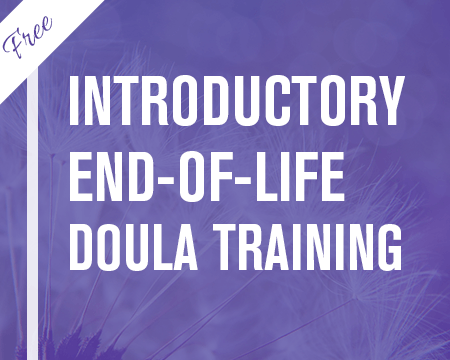 Learn more about our End-of-Life Doula Certification Training and how you can join this revolutionary new field.